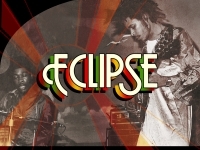 Eclipse are one of the great lost reggae bands of Britain. 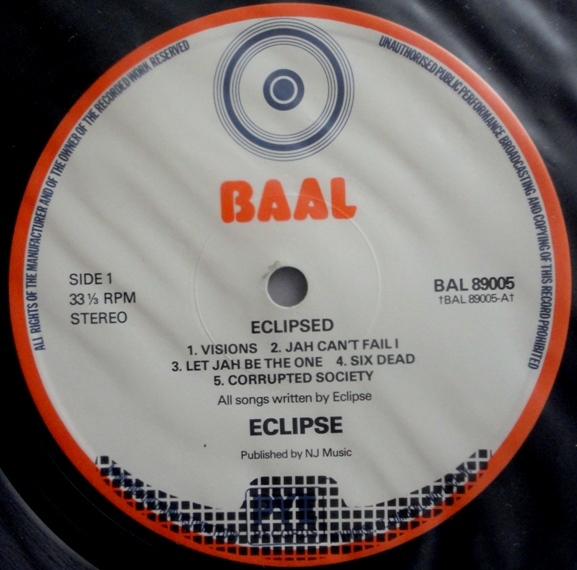 Contemporaries and friends of Birmingham legends Steel Pulse, Inner Reggae Rhythm would be the only album Eclipse would release during their time, and this was strictly limited to between 500-1000 copies, no one was ever sure how many were actually pressed up! Eclipse hailed from Handsworth, an inner city suburb of Birmingham, located just a few miles from the city centre. Home to the city’s Afro-Caribbean community and one of the true centres of British reggae activity, Handsworth, at the time, was also one of the main migrant areas of Birmingham, the centre of the city’s South Asian and Irish communities as well as white working class Brummies. Such a mix of different communities meant the area became a cultural melting pot with a vibrant music scene; home to numerous pubs, clubs, labels, record shops and bands. Born in Jamaica, Neville Whittingham came to England with his family at the age of twelve in the late 60s, where they settled in Birmingham. Music was in his blood. His uncle was Sidney Crooks of The Pioneers, and ‘Longshot Kick de Bucket” fame, and who would come to have a central role in the Eclipse story. Coming from Jamaica gave Neville a headstart on his school friends when it came to the newly emerging soul, ska and reggae scenes beginning to develop in Birmingham and other parts of the country. He’d grown up listening to American soul and r&b, The Temptations, Curtis Mayfield and others, via the American radio stations that Jamaicans could pick up on the island. This interest in music saw Neville join a number of bands in Handsworth but it was while attending Brooklyn Technical College that Eclipse would begin to take shape. 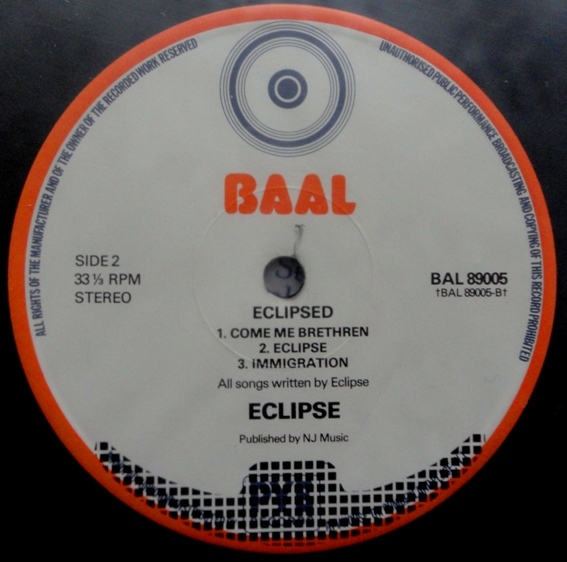 It was 1973/74 when Neville would meet what would become the founders, and mainstays, of Eclipse; brothers Basil and Derek Samuda and Cedric Allen. Meeting at one of the many regular Blues Party that took place all over Handsworth, Neville struck up a friendship with the Samuda brothers that was centred around music and a shared love of groups like the Heptones and Leeroy Smart and the People and would be cemented by the three often meeting in one of Handsworth record shops. No longer as prolific as they used to be, Blues parties where a central hub of black culture in the the 60s and 70s. Safe havens, free from dubious door policies often found in the city centre bars and clubs, Soundsystems would attract substantial crowds to venues all over Handsworth, eager to dance to the latest, most cutting edge reggae and dub, imported from Jamacia. Soundsystem crews would compete against each other for the right to be recognised as the best in Birmingham. Winners of such clashes would be partly decided on the resonance of the bass pumping out of the speakers and quite literally through the crowd, and on the quality and rareness of the tunes played. DJs would go to extreme lengths to hide, or disguise, the records they were playing so as not to give rival crews any helping hand. 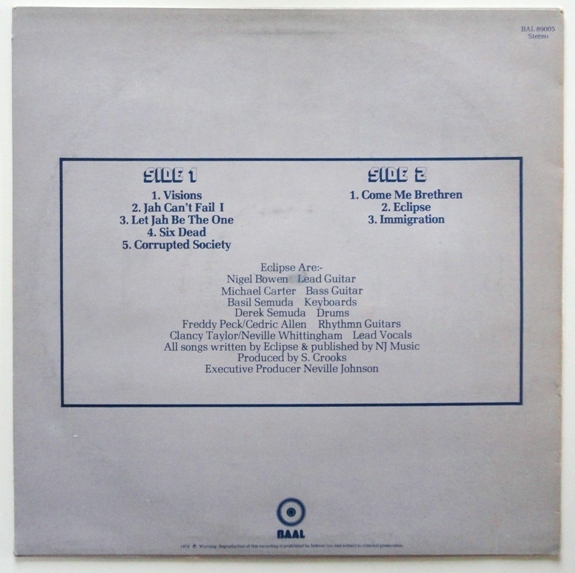 Tactics would include putting false labels on the records or simply covering them up with a white sticker so other crews couldn’t read the artist, song or label. The other focal point for the black community in Handsworth were the records shops, and two in particular, Black Wax in Lozells, and Brain Harris’ shop on Grove Lane. Neville, Derek and Basil Samuda and Cedric Allen would meet at a house in Westbourne Rd – just around the corner from the now almost mythical 37 Linwood Rd, the house where Steel Pulse formed, and then would rehearse in the cellar – and would rehearse upstairs at the Red Lion pub on the Soho Rd, a big solid Victorian redbrick building, and a popular haunt for the black community. Joining the band initially was the mysterious Juliette who provided vocals to the cover songs Eclipse played. No one was quite sure why, or when, Juliette departed, but, when she did, Neville took over on vocal duties as the band took their first tentative steps of writing their own material. Memories are a bit hazy on the exact location of the newly named Eclipse’s first gig but, as Neville recounts, “It was probably The Crompton Arms. We had a lot of members coming and going at the time but we had a core now, and this is probably 1974, perhaps going into 1975, me on rhythm guitar and vocals, Derek on drums, Basil on lead, Cleveland on bass and Cedric on guitar Also Aggro was doing some vocals but wasn’t with us long. 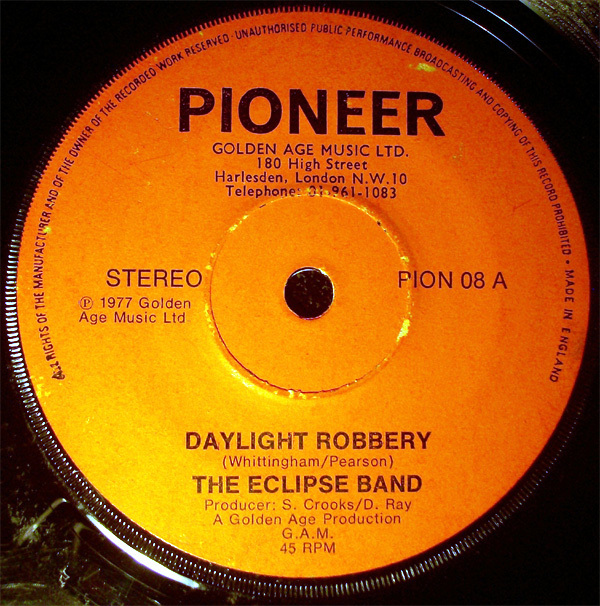 Eclipse learnt quickly and soon established a name for themselves around the city for the quality of their playing, the tightness of their sound and their growing songwriting skills as principal writer Neville, began to draw on all the new sounds he was hearing in the pubs and clubs of Handsworth and interlink it with his own roots based music. 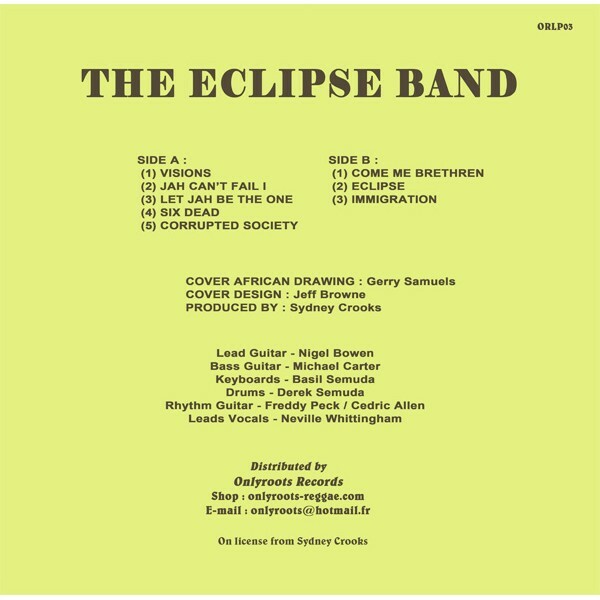 Eclipse’s first record though would be a cover of The Beatles “Hard Days Night” backed by their own song “She’s Gone” released by Bob Lamb later of UB40 fame, Eclipse were introduced to Bob by the legendary Don Christie who owned one of the Birmingham reggae shops, Don Christie Records. The record was notable for the diverse crowd it played to. 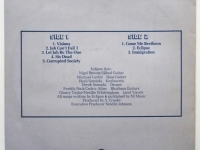 The A-side “Hard Days Night” was played out in the bars and nightclubs in town, while the B-side, “She’s Gone” was a firm favourite in the numerous Blues Parties in Handsworth and further enhanced Eclipse’s reputation as they continued to play gigs around the city. Everyone agrees that the final, missing piece of the puzzle, was completed when Clancy Taylor, aka Jacko Melody, joined the group as lead vocalist. 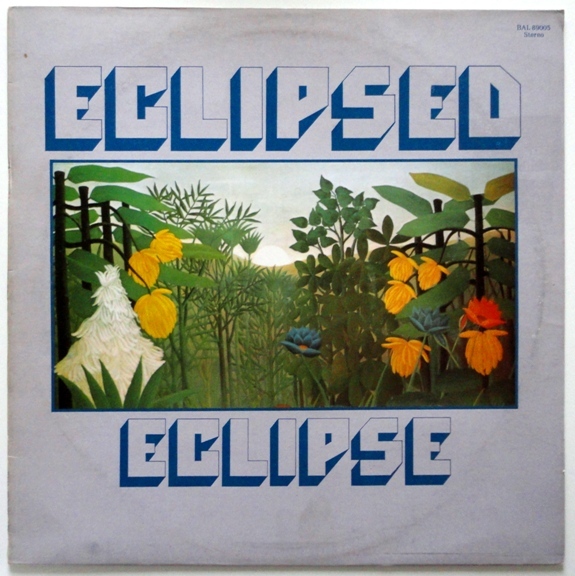 And just two weeks later, Eclipse would head to London to record their only album “Inner Reggae Rhythm”. Sydney Crooks helped by booking the Strand Recording studios in London, trusting that if Neville said he had songs ready to record, they would be good. 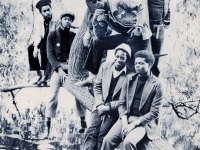 The band took their cue from other Jamacian artists and recorded the album in under a week. Recorded in one take, with no overdubs apart from the Pioneers backing parts, Jacko was locked in the vocal booth one night with just a bottle of whiskey for company and told he wasn’t leaving until he’d recorded his vocal parts! Returning to Birmingham, the band were excited at the possibilities that lay ahead. 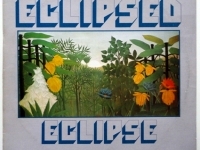 Pleased with the finished album and knowing Sydney’s links in the music industry, Eclipse hoped the album would be picked up by a bigger label and distributed. But it wasn’t to happen despite the critical acclaim they got back in their home town. 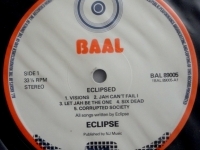 The album is one of the great lost British root reggae albums. Inner Reggae Rhythm deals with themes and issues that were ahead of their time and still resonate today. Freddie, “Thinks like family issues, unemployment, racism, marginalisation. The breakdown of family life. It was all in there. Our families had higher expectations of us to be career people. They would look down on you until they saw you perform and saw crowd reaction, then they got it! We connected with audience as all a Birmingham gigs were packed. I think they saw themselves in us. 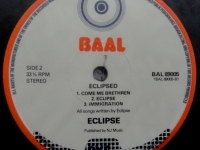 Released on the Baal imprint the album came out in the summer of 1978, only 500 or 1000 copies were pressed and the band had a couple of boxes to sell or use as promos. 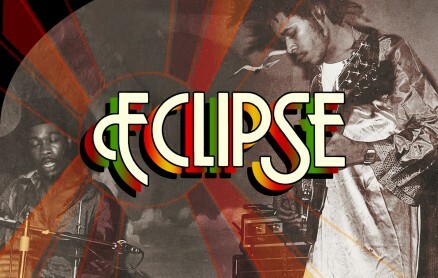 With no manager, label support or booking agent, Eclipse started to book their own gigs in order to promote the album. Support slots with the Heptones, Prince Lincoln and the Royal Rasses and Culture at the Regal Cinema on the Soho Rd, a tour as the backing band for Prince Far-I on his first British tour followed but no major label or distribution deal was forthcoming. 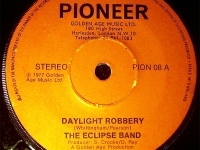 Undeterred, Eclipse hit the tour circuit harder, playing gigs across England, Wales, Scotland and further out in Europe, especially Holland where they would sell copies of the album from the back of the van and ended up headlining festivals at the famous Paradiso club. But it was the University circuit were Eclipse would seal their reputation as one of the best live acts in the country, playing with, and playing off stage, bands such as The Beat, Selector, Paul Young and the Q-Tips and Big Country. Jacko recalls that The Beat would tell people about the band and urge them to go and see them they were so good. A couple of music press reviews started to appear and the band at last appeared to be attracting attention with A&R reps turning up at venues like the legendary punk and reggae 100 Club and the Roundhouse in London. But still nothing materialised. 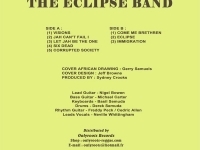 The band kept writing and gigging, getting involved in support gigs for Rock Against Racism with UB40, the Au Pairs, The Beat and another great Brmingham reggae band Afrikan Star, opening for major artists like Louise Marks (where the crowd went mad for Eclipse), and a major support with old friends Steel Pulse at the Hammersmith Palais. 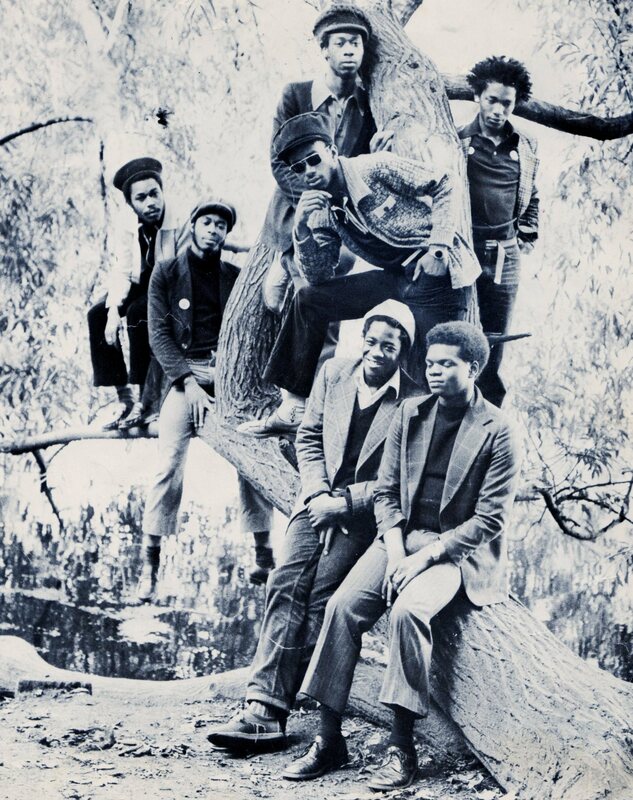 But Inner Reggae Rhythm was now confined to the past and still nothing had happened for them and despondency began to set in in the mid eighties some ten years after the band had first formed. Jacko and Freddie nod in agreement all three agree they would play together again. Had their record Eclipsed in the eighties but sold it years ago as I had no recorplayer anymore. Is this material on CD available? I have allways regretted selling it and been looking for it on the internet. It available on CD now, remastered and with some extra tracks, also available as a digital download. 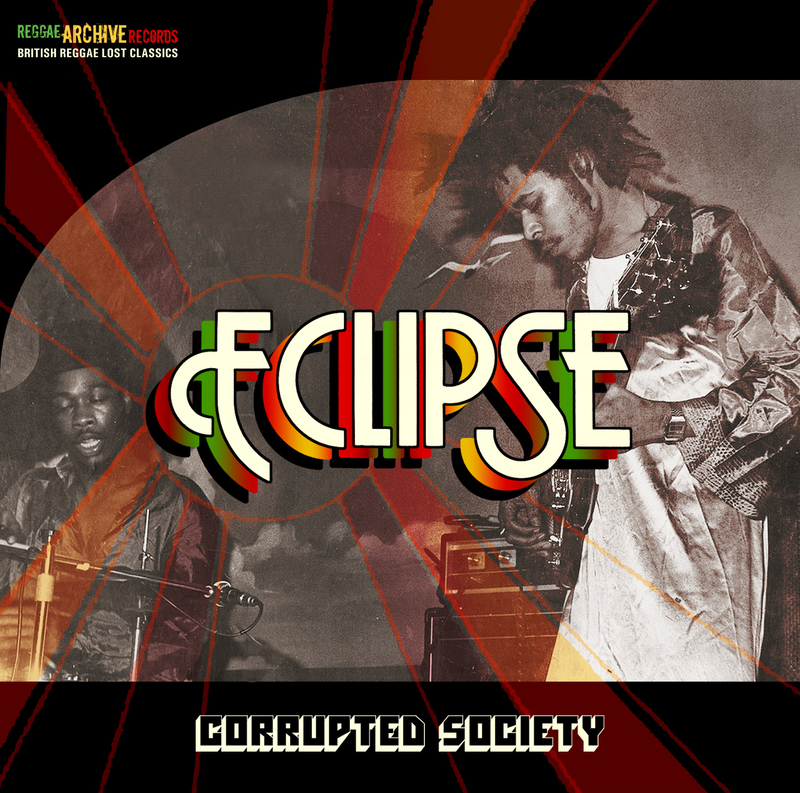 Go to: http://reggaearchiverecords.bandcamp.com/album/corrupted-society and you can get it – it still sounds brilliant!